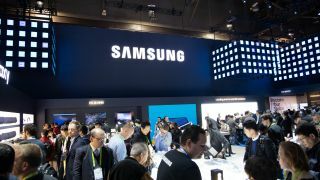 Samsung is set to post its lowest quarterly profits in two years, telling investors it expects a drop of around 60 per cent when it publishes its first quarter accounts. The Korean electronics giant expects revenues to be around 52 trillion won (£35bn) and profits to be to 6.2 trillion (£4.2bn) – missing market expectations. The fall can be attributed to slowing smartphone sales, a fall in the price of memory chips and lower demand for displays panels. In addition to being the world’s largest mobile phone manufacturer, Samsung is a major supplier for its competitors – including great rival Apple - who rely on the company for components. This means it is particularly susceptible to a lack of growth in the market. Such was Samsung’s concern about the situation, it took the unprecedented step of issuing a pre-guidance warning last month in order to communicate with shareholders as soon as possible. There is some hope for a turnaround, however. The cost of memory chips is expected to rise and there is an expectation among all smartphone vendors that flexible displays and 5G will stimulate the market and encourage consumers to purchase new devices. The increased cost of handsets, a perceived lack of innovation, and a lack of new markets to exploit have all been cited as contributing factors to a general fall in sales.